Qaqortoq, also called Julianehab in Danish, is a town in South Greenland, more precisely in the Landsdele of Kitaa. The hot springs on the island of Uunartoq and the exquisite Northern Lights, icebergs and glaciers add to its charm. Take a boat to view the Norse Episcopal residence at Igaliku or the Norse ruin and Hvalsey Church in Qaqortoq. Enjoy the mountainous landscape and try heliskiing. Witness the rock cut 'Stone and Man' engravings and also visit the Vor Frelser Kirke (the Church of Our Savior). At the heart of the town of Qaqortoq is Greenland's oldest fountain. The old colonial buildings impress with their design and detail. Fishing, kayaking and trekking account for important activities of Qaqortoq. 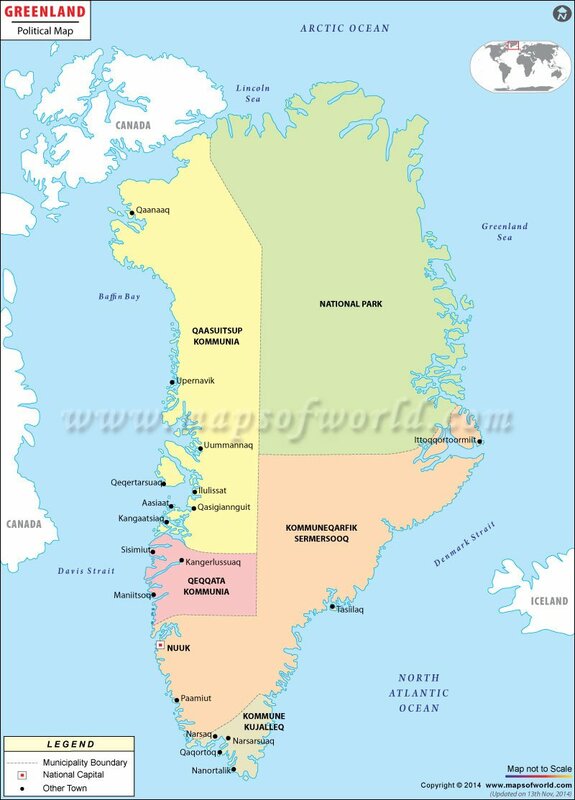 The nearest airport to Qaqortoq is Narsarsuaq in South Greenland. Qaqortoq has an excellent network of helicopters which help in easy and fast transportation. Qaqortoq is equally facilitated by water transport such as small boats and ships. The national airline of Greenland called Air Greenland is dedicated to the tourism industry. The most popular hotels of Qaqortoq are the Qaqortoq Hotel and the Siniffik Inn. They provide an array of services to the visitors who come to Qaqortoq such as currency exchange, car rental, restaurant, concierge service, multilingual staff, laundry facilities, television, apart from clean and cozy rooms.